Not as big as the regural Toucans, but expectacular and colorful at the most. 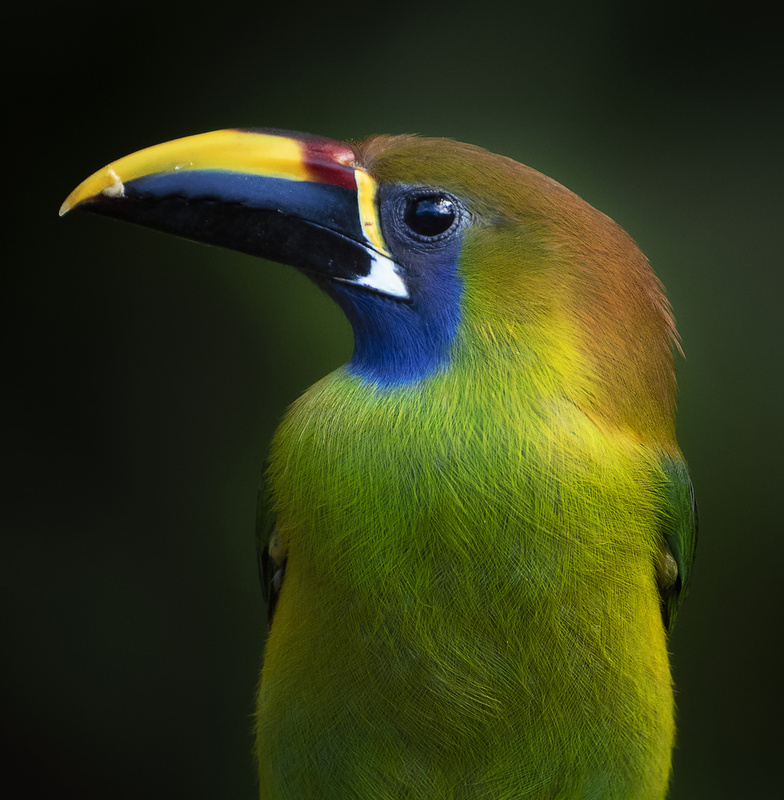 The Emerald Toucanet is called. Shot this with xf100-400mm from Fujinon at Monteverde Natural Reserve in Costa Rica. Love that "hairy" chest! Congrats buddy!